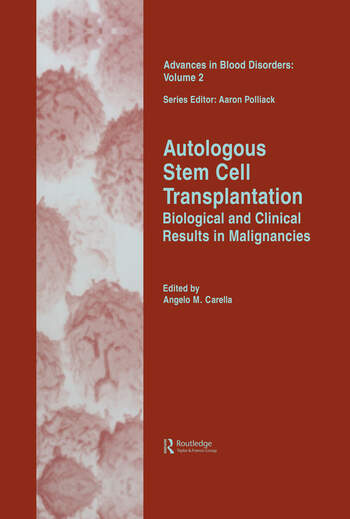 This textbook integrates basic research and clinical aspects underlying the most recent results in those malignant diseases where progress is most effective. Recent evidence shows that higher doses are better in inducing higher cure rates in hematological neoplasias, although myeloblation related to dose intensity can be a limiting factor. The toxicity can now be controlled with autologous marrow and peripheral blood progenitor cell transplantation, used with or without growth factors. The combination of high dose chemoradiotherapy followed by re-infusion of autologous stem cells constitute a dramatic advance in the treatment of refactory and relapse hematological neoplasias.